Most people who want to slim down will be quick to think that they should stay away from food. The fact is this is something that must be avoided because it will only make successful weight reduction a task that’s more difficult to pull off. When the body detects that it’s not getting enough food, it will go on starvation mode and hold on to those fat cells more. 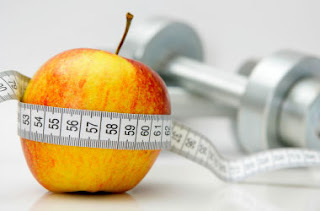 Instead of staying away from food, what a dieter like you should do is make healthier choices. Below are 10 foods that are proven to help you turn your dream figure into a reality without much trouble. Packed with fiber, oats can make you feel full and keep you from feeling hungry all the time. It also helps stabilize the blood sugar level as well as reduce bad cholesterol. Capsaicin is a compound that gives green chillies and the rest of the gang their fiery identity. Capsaicin is capable of increasing your core body temperature and metabolic rate, making it easier to shed off excess pounds. Protein is important for a weight-watcher because it builds and repairs lean muscles. Eggs are excellent sources of good quality protein that helps maintain muscle mass and speeds up your metabolic rate. Energizing and highly nutritious, a tablespoon of honey in a glass of warm water is said to be very good at keeping those unwanted pounds at bay. Take this weight loss potion upon arising in the morning. Antioxidants in green tea promote the breaking down of fat cells as well as help accelerate the metabolic rate. Green tea also has caffeine, something that gives you a jolt of energy for your exercise regimen. The enzyme allicin in garlic is revered for its powerful antiseptic properties. But did you know that is also beneficial for weight-watchers as it helps lower bad cholesterol and metabolize fat cells? Antioxidants in apples help you zap those unwanted fact cells. What’s more, fiber these fruits have plenty of fills up your stomach, saving you from eating more food than necessary. Other than fighting off cancer cells, tomatoes are also good at combating excess weight. Loads of vitamin C they contain is an antioxidant that promotes effective reduction of fat cells. Fiber that wheat grass has plenty of fills the stomach and sweeps out impurities trapped in the abdominal area, allowing you to enjoy a flatter tummy. Flavonoids in dark chocolate reduce bad cholesterol as well as fat cells. Eating it in moderation is a tasty way to slim down and stay happy, thanks to its ability to boost serotonin levels.